American floral hop released in 1998. A cross between Saaz and Mount Hood in character but better tasting. Very successful and well-established American aroma hop developed by Oregon State University’s breeding program in 1956 from Fuggle and Serebrianker (a Russian variety), but not released for cultivation until 1972. Gives the distinct citrus/grapefruit aroma to a Pale Ale produced by one of the most successful “craft” breweries in California, America. One of the “Three Cs” along with Centennial and Columbus. Named for the Cascade Range. Substitutes: Centennial and Columbus (but they have a higher Alpha Acid content). Is an aromatic hop with low alpha acid levels. It was started in the late 70s in the Willamette valley of Washington and Oregon and decended from english Fuggle hops. Willamette hops are proving to be a corner stone of the American craft brewing revolution. 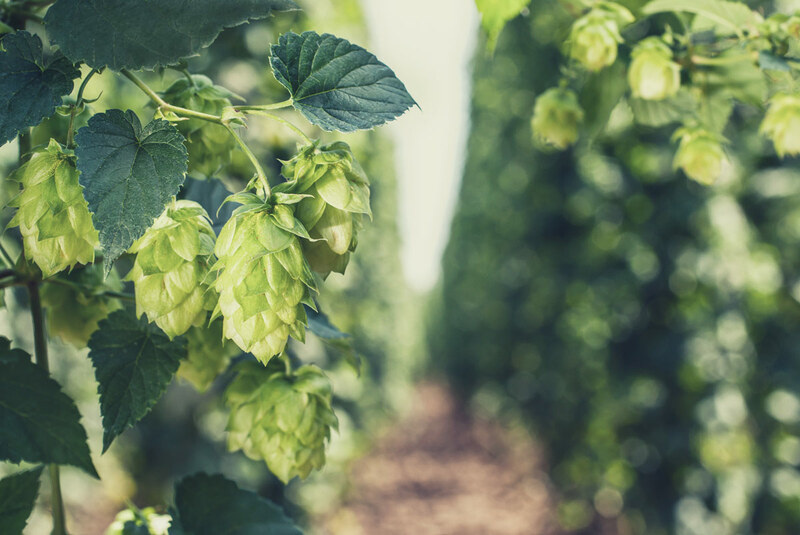 Our HOPS are certified organic, hand picked, processed and packaged on the farm. We offer our hops oast-dried or wet! Rhizomes are also available in a number of varieties and can be shipped! HOPS available in custom or standardized sizes.